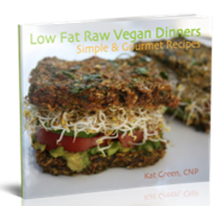 A collection of over 50 of Erin’s favorite low fat raw recipes divided into a breakfast and lunch section and a dinner section. Each recipe has a beautiful full color photo. In addition to all of the recipes, you will find tips for success, 3 weekly meal plans and corresponding grocery lists, as well as space to create 3 more weekly meal plans and grocery lists of your own. 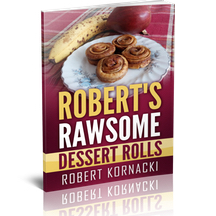 Packed with 10 dessert roll recipes, Robert’s Rawsome Dessert Rolls is going to revolutionize your snack time like nothing else! Each recipe is made with only a handful of ingredients and is simple as pie to make! This Recipe Book comes in electronic form so you can easily read it on all of your favorite devices whether it be computer, phone, or tablet! 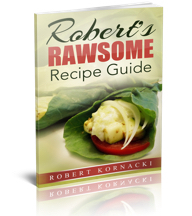 Looking to develop a low fat raw vegan lifestyle you can stick with?Robert’s Rawsome Recipe Guice contains over 40 mouth watering recipes to ensure you’ll never have a day where you’re tired of your boring old meals. 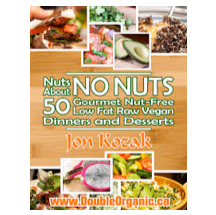 Each recipe in this guide has been crafted from the past 4 years Robert has in making delicious low fat raw vegan recipes. The Recipe Guide comes in electronic form so you can easily read it on all of your favorite devices whether it be computer, phone, or tablet! that are sure to satisfy cooked food cravings. • Contains no bulb onion! 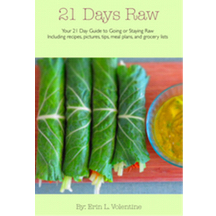 • 30 overt fat free recipes! Before you have eye surgery, utilize “The Good Eye Genes” guide to naturally improve your eyesight in a simple and easy way. 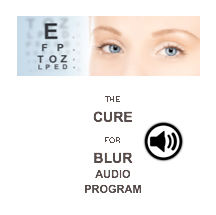 There’s only a short amount of text to read, the rest is audio so you can listen your way to excellent vision. Since muscle strain and stress are a primary cause of blurry vision, utilizing the recommendations provided will help release strain, relax the mind and body so you can achieve peace and calm, and experience effortless awareness leading you to seeing clearly without lenses. 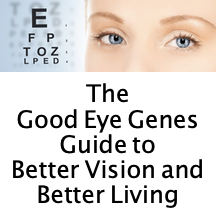 Your genetics are the result of so many generations of evolution (or the result of God’s image)… either way… the Good Eye Genes guide helps you keep a positive narrative about your potential for improvement… and helps you tangibly move forward. This book teaches people how to relax and improve their eyesight. How to get rid of glasses, contacts and not get lasik surgery. Relearn to see. Based on research with clients,the bates method, and various alternative methods. Includes tips for diet, exercise, sleep, and transformative psychological techniques that make seeing easy. 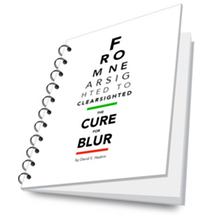 Written by David Hestrin a healer who personally improved his eyesight from 20/400 to 20/20. Based on the idea that stress and strain of the eye muscles cause blurry vision and you are now ready to do what it takes to release the pain and strain and re-gain your ease and clarity. 20 tracks focused on releasing tension and relaxing as an automatic habit so you don’t have to try and take time from your busy day, but instead find yourself doing things that relax you and solve chronic tension without thinking about it. They also include guided meditations and activities that will help you focus your energy on the task at hand. Whether it is palming or learning to be more deeply in touch with your own movements, rhythms, and feelings so you can use your mind and body in harmony and see clearly as a result.